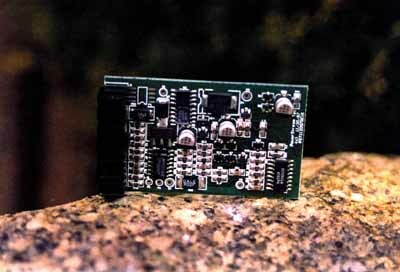 This is a custom designed battery pack monitor and charging board for 12 VDC, NiCad, 4.4 AH, 10 cell battery pack. It is used in the battery packs for Tektronics oscilloscopes. The markings on the board are 25-005-GF and S168. Note: when rebuilding a Tektronix battery pack make sure all the cells are good, none are shorted, and that they are all at the same state of charge. Discharging to 1 volt per cell is an easy way to do this, or fully charge them. The main failure mechanism for these boards is that one cell will be shorted or flat and the power control transistor burns out because it is dropping more voltage than it is designed for.